Running the Race: A lifetime first! No, wait - false alarm. A lifetime first! No, wait - false alarm. Until this weekend. 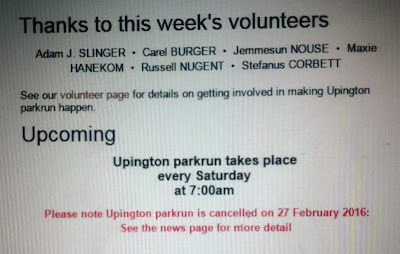 Through a series of meeting re-schedulings and other events, it was finally going to happen: I was going to be in Upington on Saturday morning on my way back from a business trip to Springbok - just in time for Upington parkrun! Sela. 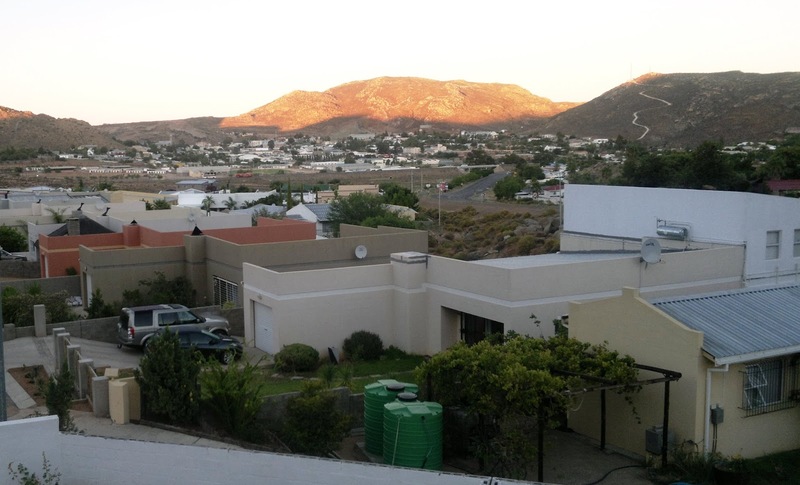 I was, of course, giddy with excitement at this discovery: Packed my barcode and running shoes before anything else, booked accommodation practically next to the parkrun starting point and stalked the Upington parkrun Facebook page for pictures and other info on the run. Wahoo! Are you kidding me?! 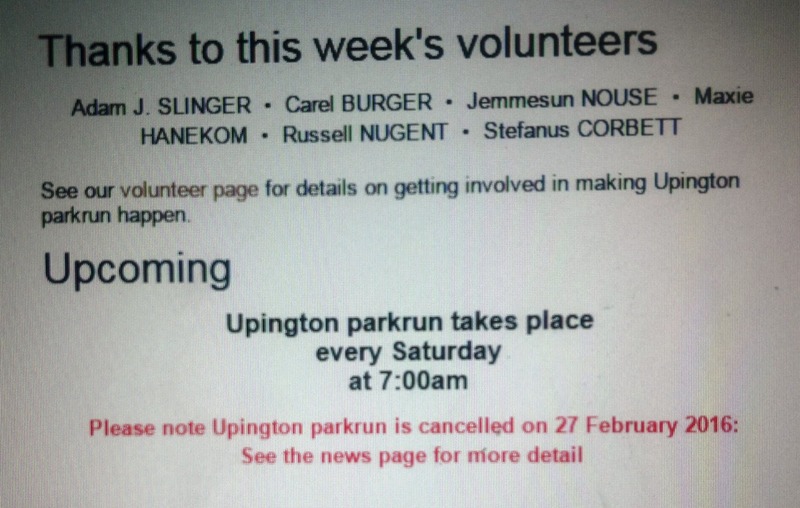 The first time in two years that I get the opportunity to do a parkrun on a business trip and there's a cancellation?! Sob. So of course I feel a bit like a kid being denied his favourite toy and inwardly pout whenever there's a chance between meetings. Ah, well. You never know what the next two years will bring, right...? Oh dear, what a disappointment, but there'll be other opportunities I'm sure. So keep on training. Thanks, Gordon - I'm sure there will. Same to you and your lovely partner! Dig That Photo Of Springbok!! Such a lovely little town - I always enjoy going there!